Are you afraid to "get your hands dirty" and write your own Message On Hold program? 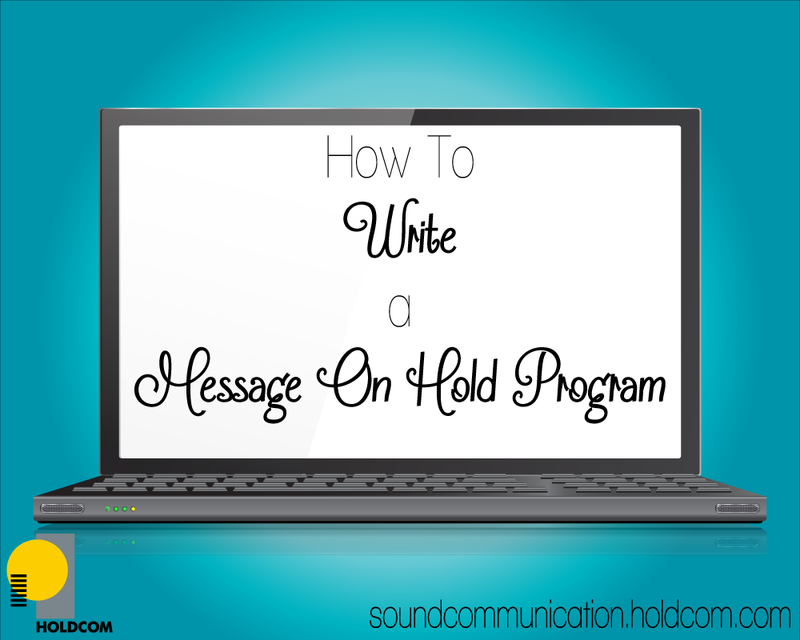 Are you wondering where to start when crafting your Message On Hold script? A lot of our clients struggle with writing their Message On Hold program. You want your on hold programming to be appealing to your callers, not overwhelming them or presenting irrelevant information. Define your average caller and offer the content they're most likely to ask for, whether that means pointing them to the video tutorials on your website or explaining how they can request a custom quote online. Decide how long your program will be. If callers typically wait on hold for 2 minutes at a time, at least two minutes of programming should be your goal, but a program that’s a bit longer than this will be better, so clients won’t hear repeated messages every time they call. It’s okay to have more programming than you think you need. A typical program is 4 – 8 minutes, with some having much more content. List the topics you’ll discuss in your program. Write the content for your first topic. In your first sentence, introduce the topic to callers. In the second sentence, explain how the topic will benefit them. In the third sentence, wrap everything up by calling them to action – instruct customers to visit your website, find you on social media, or ask a representative for more information. Write about each of your topics in this way, then you’re done! Well, kind of. It’s time to revise and edit your writing to make it as appealing and effective as possible. Once your script is finished, choose complimentary music and you're ready to roll! Our post about how to choose the right music on hold can help get you started.